It's been two months since I've finished reading Lang Leav's first novel and I still cannot forget how I felt when I got to the ending. Ahh, how do I start with this one? Well, let's just start with how I got this book in the first place. I really didn't have the plans to purchase this book because I know it will be expensive and I did not have the budget for it. I was surprised when my boyfriend gave this book to me one day when he was on vacay from work. I was so excited then to devour its words. I had high hopes for this book because it's Lang Leav. Her poetry books are best sellers and I enjoyed reading them so I really expected to like this read. This one is so pretty to look at, I mean look at that cover. If I am to judge a book by its cover, I would say it's a really good book. But while the cover is stunning in its simplicity, the content was a bit off. The synopsis showed potential and it made me curious. I was drawn to what that lie is all about and how it was connected on how and why Ana died. 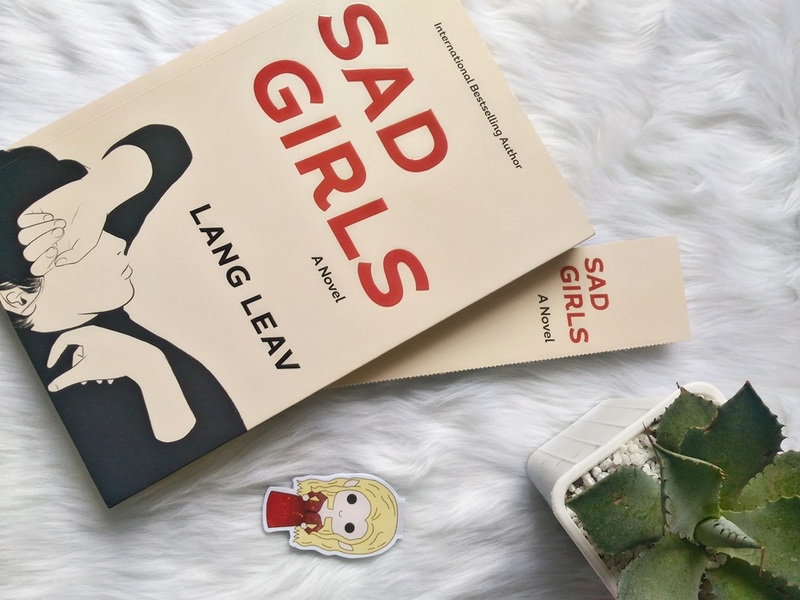 I wanted to know why this book was called Sad Girls. I read this one over the weekend and got through this big book pretty fast. It was easy to read, yes, but the contents weren't that easy to digest. Saying that this book is problematic would probably be an understatement. There are holes and to be frank, the plot isn't that convincing at all. It was exaggerated. The "lie" was always repeatedly mentioned and emphasized like the characters' lives depend on it. It was suffocating and tiring as the book progressed. What kept me reading was my curiosity on how it all will end. I didn't have favorites in this book. I didn't have a wow moment as I was reading it. I feel like some parts of the book were unnecessary, especially the part where Audrey left her home to move on. I knew she was going to be pulled back home because there's just too many strings left untied. And the ending, whew, don't even get me started on the ending. It was sick, and I don't mean the good kind. Leav has a twisted mind to have finished the book this way. To have the final reveal about Ana's death. To conclude it that way. It was sick and twisted. My mind was in shambles when I closed the book. I never want to read another one that is similar to this book. That being said, my rating for this is a 2 out of 5. It's not a spectacular read, it was just okay.